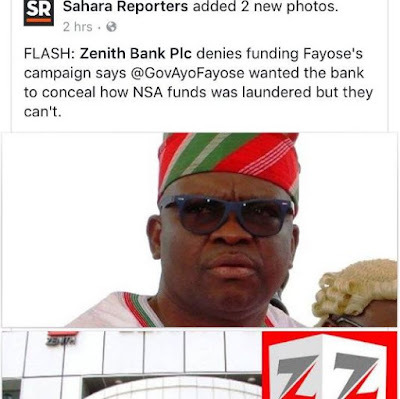 Dear Gov Fayose, this desperado, way of playing politics has become way too embarrassing. During the presidential campaign, I stumbled upon a headline that read “Fayose’s Aggressive Method Of Governance Embarrassing Our Family, Says Brother” and I was disturbed, but I treated it as a solitary incident. Then, you took a swipe at the president, claiming he was too old to rule Nigeria, further stating that your 74-year-old mother, allegedly wears diapers, and that Buhari is likely to be using diapers and therefore is unfit to rule Nigeria. This was a blow to my intelligence as American presidential candidate Donald trump is 70, while his counterpart Hilary Clinton is 68 years old, both within president Buhari’s age range of 73years, with neither of them wearing diapers.